Daemonelix cage, NW. 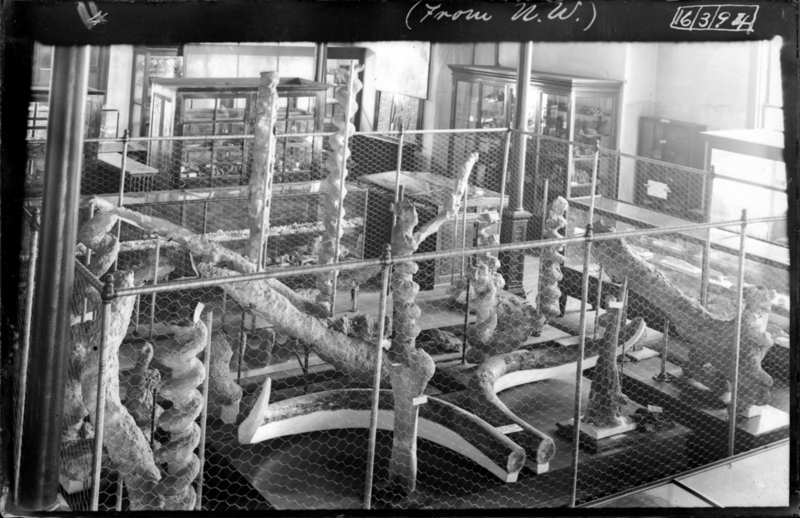 In the foreground, Daemonelix fossils and a pair of large tusks are displayed surrounded by a wire cage. Wooden and glass display case are in the background. 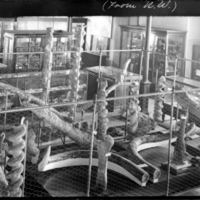 “Daemonelix display ,” Nebraska U, accessed April 25, 2019, http://unlhistory.unl.edu/items/show/1953.